Sounds like the ideal accompaniment to the traditional toast. The British are not culinary giants, but there is some very good British food. I live in the US where the only UK cheeses in the supermarkets are universally: Stilton and Huntsman. What a shame. But I won’t suggest Suffolk to them. Many years ago I was visiting the British Kiel Yacht Club. The Army there gave me some tins of ‘Processed Cheese’ to swell my lockers. 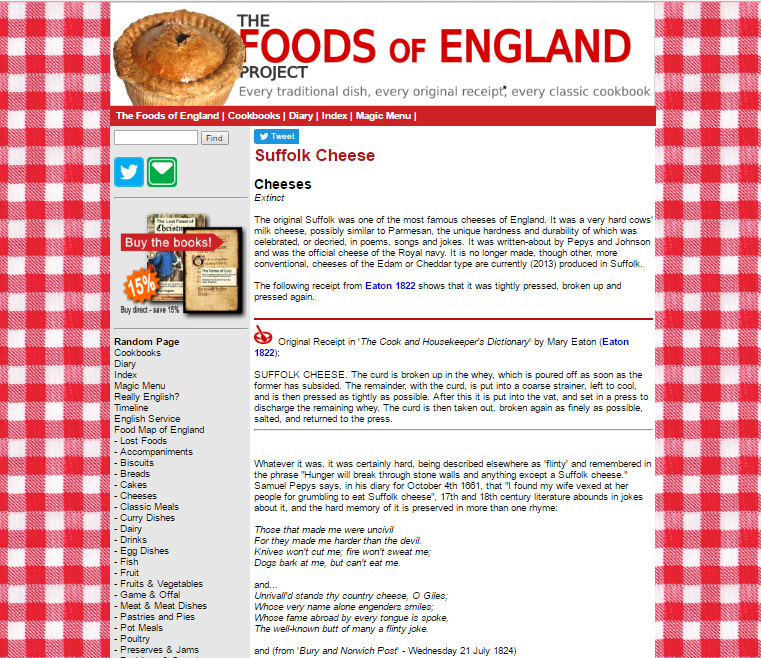 It was always known as ‘Possessed Cheese’ – and jolly good it was too! HM Armed Forces had obviously come a long way from the horrors of Suffolk. ‘Possessed Cheese’. Somewhere out there, I feel sure there’s a boat with that name! Same diameter as the tinned oatcakes which made for a tasty and neat snack once you’d got the folding tin opener working.